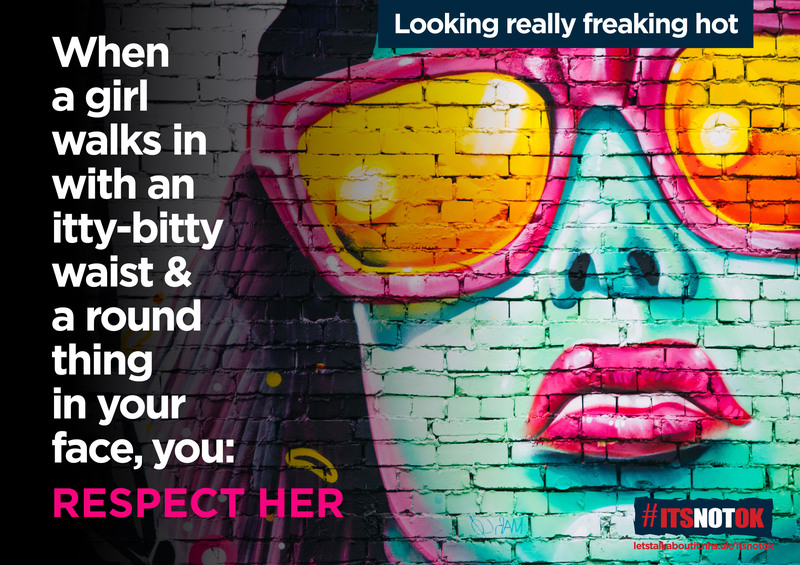 10 things that definitely aren’t consent..
Hampshire Constabulary is working with several leading charities to back a sexual abuse and sexual violence awareness campaign called #ItsNotOK. 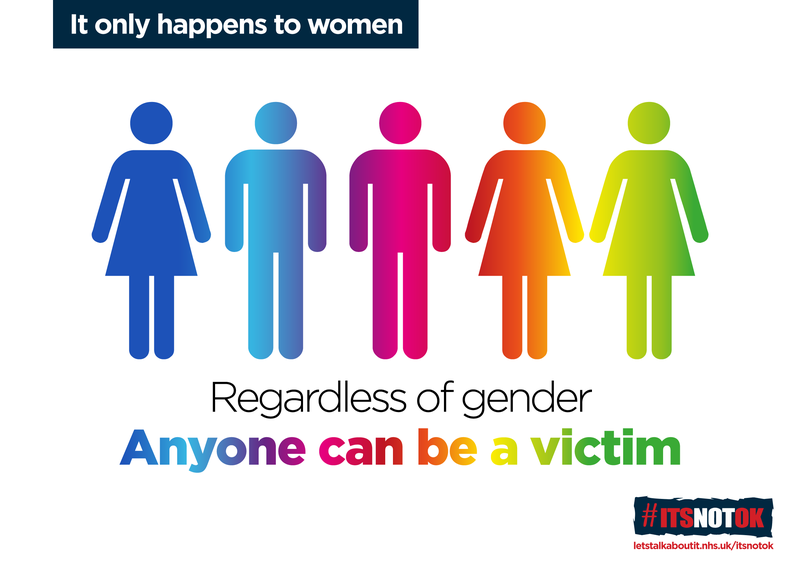 The national campaign is aimed at raising awareness that sexual abuse and sexual violence is unacceptable and victims and survivors should not have to tolerate it. 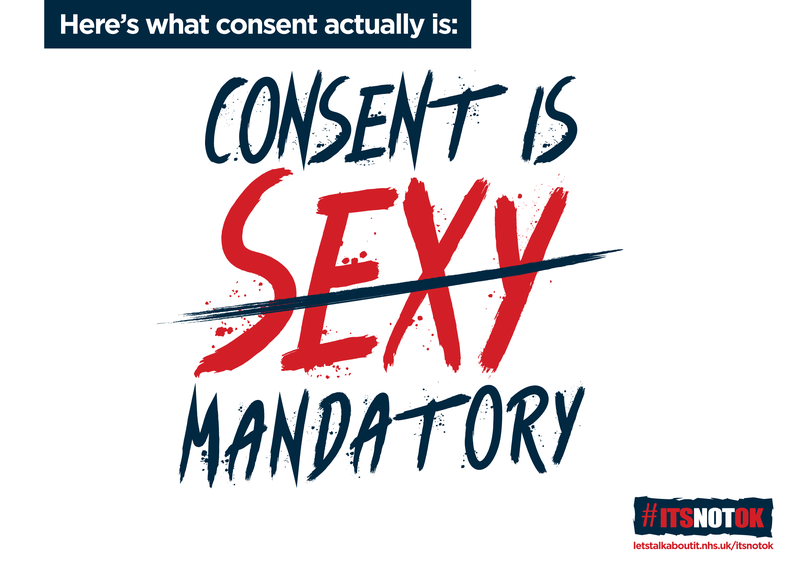 Sexual consent is when a person has the ability and freedom to agree to sexual activity. 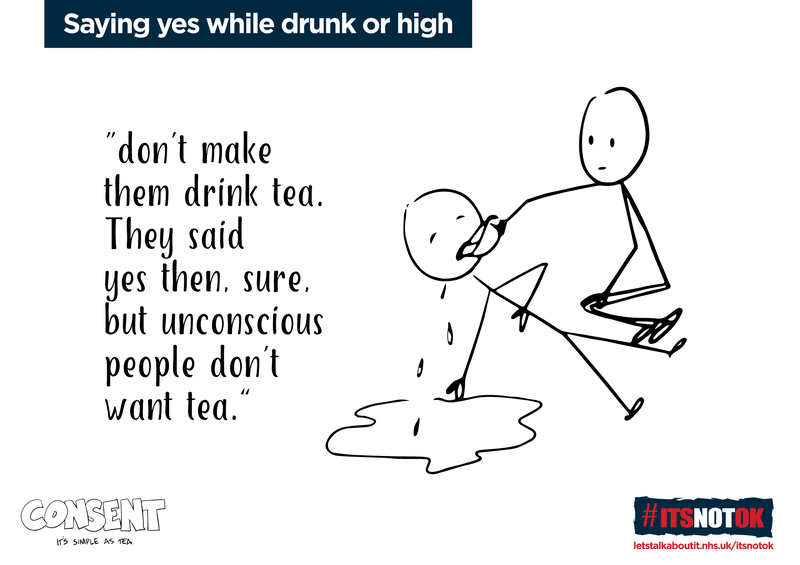 Knowing someone, being drunk or on drugs, or having been intimate with them before does not automatically mean they consent and it is not an excuse. 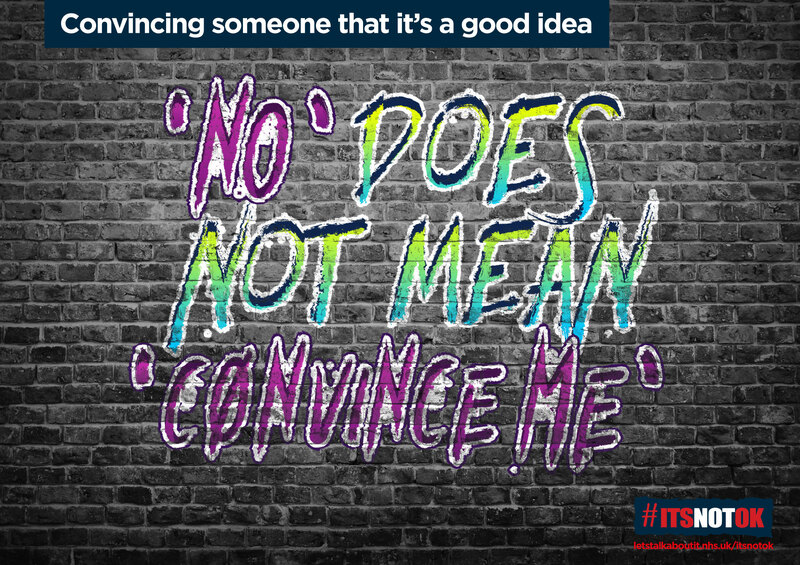 A person must be able to make their own decisions and have the mental capacity to give consent. Having capacity means the person can make a decision, understand the consequences and knows that they have a choice. If they cannot do this they cannot give consent. 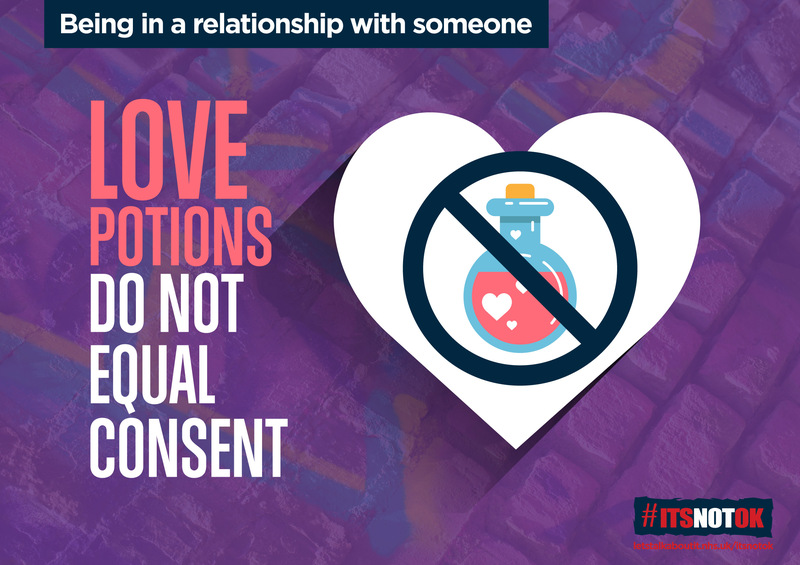 Partners have the right to withdraw their consent at any time. 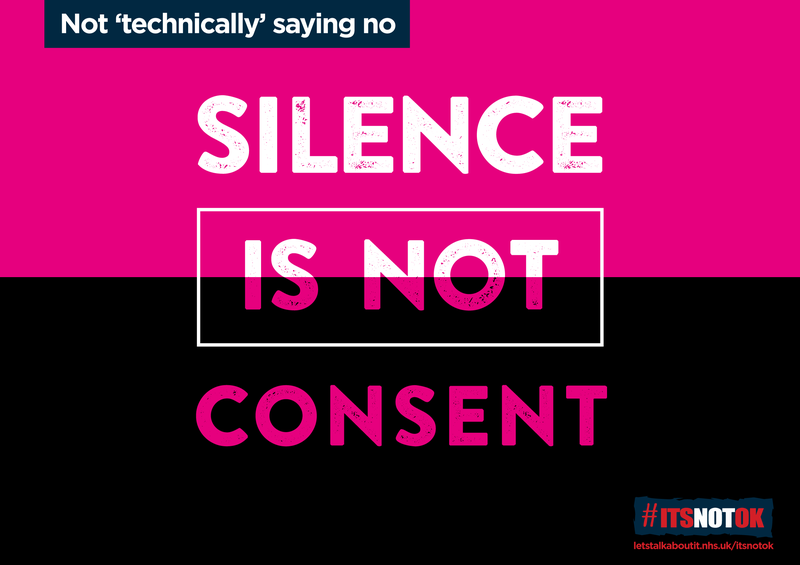 Once consent is withdrawn sexual activity must stop immediately. By continuing you will be committing an offence.